Today shot a dance performance rehearsal, with animations and graphics projected onto the dancers. 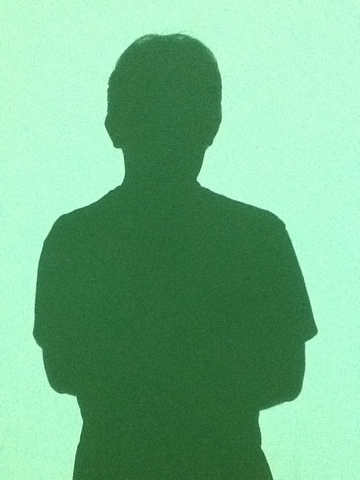 So had a chance to take a picture of my own silhouette. Be converting them to pre render files for Sony Vegas tonight and edit the vid once I got the song from the client but already got a good intro sequence from how the vid should start in my head. Just need the music so it would follow the beat. 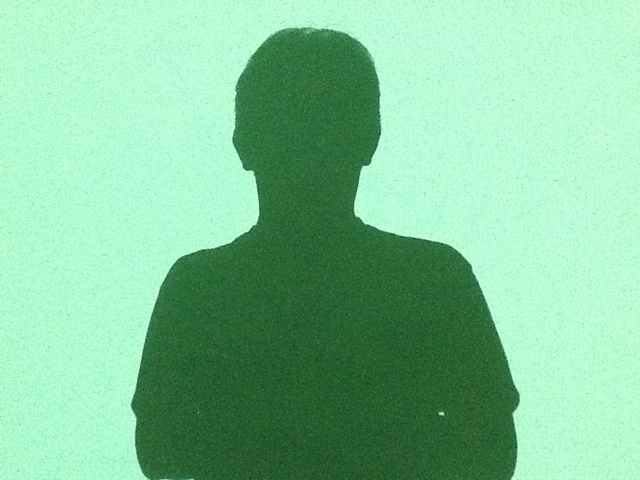 Have to say taking a picture of my own silhoutte is not that pretty cause if you hold your arms up it looks like you are missing them, but mostly 2nd picture is better just not showing my arms at all did the trick, but would had like to take a full body one though. But then had to try jumping in the light and try to take a pic with my iPad.